What ShipStation Triggers and Actions are Supported? 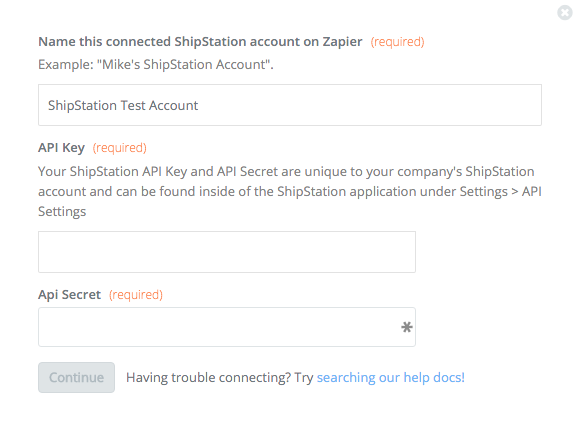 To get started with ShipStation on Zapier, first you will need to click to connect your ShipStation account to use with your Zap. Next, you'll be asked to name your ShipStation connection and enter your API Key & Secret. 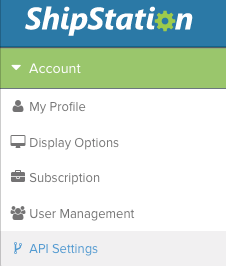 To find your API Key & Secret, You’ll first want to login to your ShipStation account and open your Account Settings by clicking the gear in the upper right. Next, click API Settings on the left. If you have not generated your API keys yet, you’ll need to click “Generate New API Keys”. Otherwise, you can use the keys already generated. Paste your key and secret back into your Zapier account and then “Continue”. If your API was entered correctly your ShipStation account will now be successfully connected. Then if someone else has the same first name, their customer details will be attached to the order. To get around this, make sure you use a truly unique field for the Unique ID. Shipstation requires that you use a two letter country code, so instead of United States, you'll need to send US. If all your orders are going to be shipped in the US, you can just type US in the Recipient Country Code rather than mapping the field (or whatever the correct country code is). 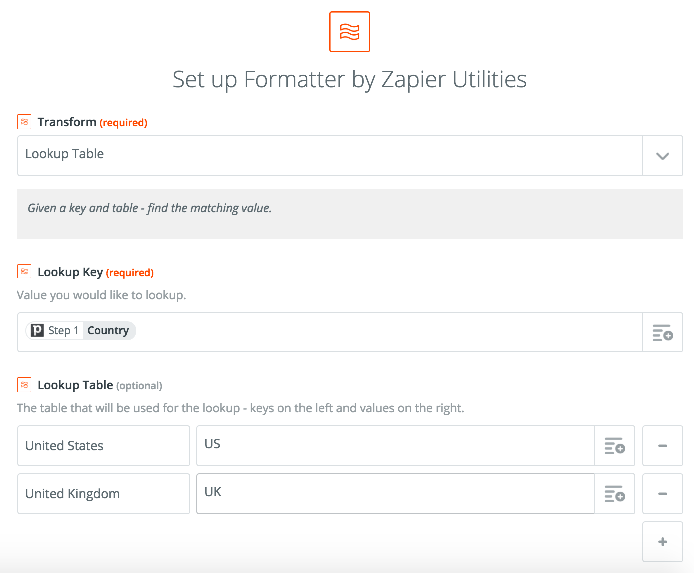 If you need to dynamically set the country, one option you have is using the Formatter Utilities action. You'll want to add this step before the Create Order action. Use the Lookup Table transform and map the possible fields coming from the trigger on the left hand side (ex. "United States" or "United Kingdom" and the two letter country codes on the right hand side (ex. "US" or "UK"). Then you'll want to map the output of the Formatter app to the Create Order action. If any of the fields in the items section are filled in, then Name and SKU need to be filled in too.